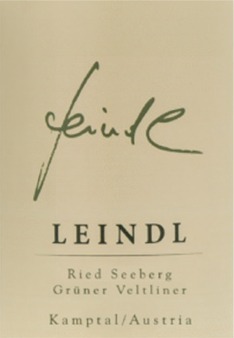 Leindl Gruner Veltliner Seeberg Kamptal is made form 100 percent Gruner Veltiner. Medium yellow green. 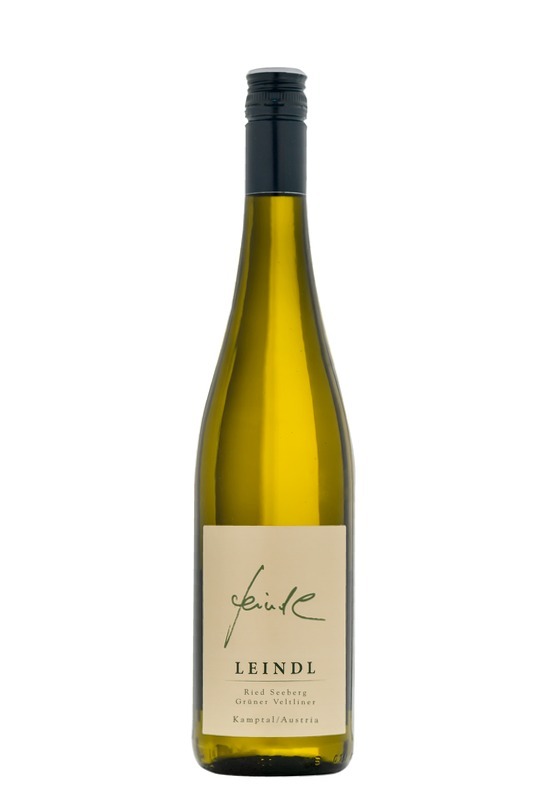 Fine yellow apple fruit, delicate hint of quince and honey, candied orange zest, highly attractive bouquet. Juicy, good complexity, extract core sweet, silky texture, fine acidity bow, fine and salty minerality, great length, secure aging potential, a very finesse Veltliner-style. "A rather shy nose reveals nothing but slight notes of citrus. The palate then fills out with subtle but convincing notes of fresh sage, lemon pith, celery salt and yeast. Lemon highlights keep this on the ultrafresh side, but the savory yeastiness provides a lovely balance. - ANNE KREBIEHL MW"